We are finally back with a new list, we apologize again for the wait. To celebrate two of the summer’s biggest events – the ongoing Shark Week, and SyFy’s surprise hit Sharknado, here is a list of SyFy’s top 10 cheesy shark movies. They churned out many of these shark movies, so they were bound to finally stumble across a hit. 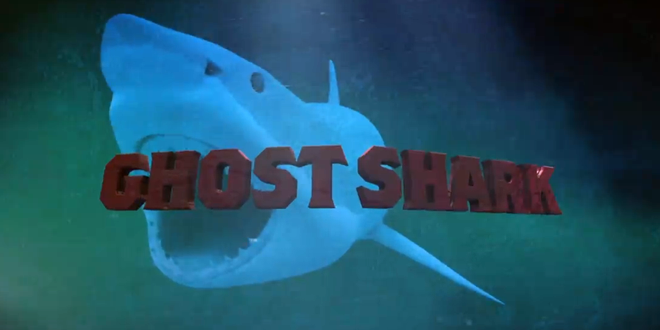 This movie is basically an Indiana Jones rip-off with a minor shark thrown in. 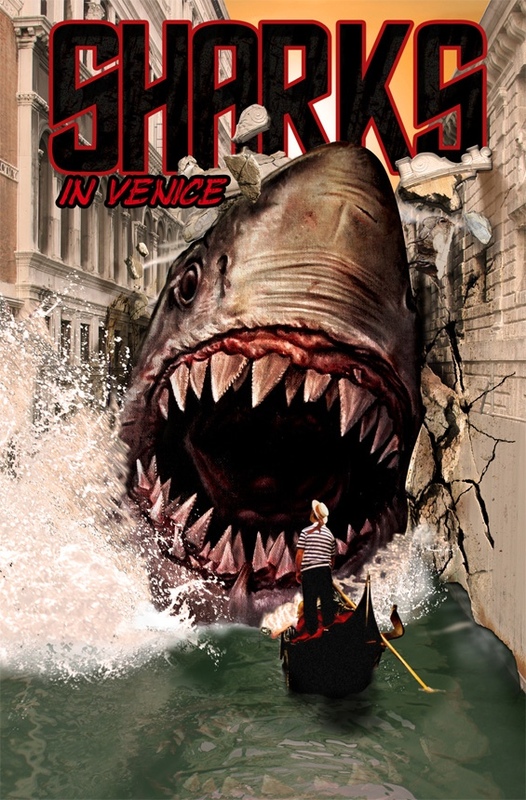 The shark, who randomly appears in the tranquil waters of Venice and terrifies the locals, isn’t even a large part of the movie. The main plot is an Italian mafia ring that kidnaps the main character’s wife. The movie’s main star may come as a huge surprise – Stephen Baldwin. I have no idea why a man so famous would act in a movie commonly mentioned amongst the worst in history. A greedy real estate tycoon wants to build condos on a prime property, the only problem is that the property belongs to a fisherman and his wife. The tycoon decides (very logically) to secretely lace the water with toxins in order to kill all the local marine life and drive the fisherman out of business. Unfortunatley, the toxins turn all the local sharks into super aggressive killing machines, creating the ultimate shark swarm. This film managed to snag two washed up celebrities as their stars, with Daryl Hannah and Rob Schneider playing the parts of the two main characters. A massive 100-foot tsunami (thought to be the worst-looking animated tsunami in movie history) devastates Malibu, California. 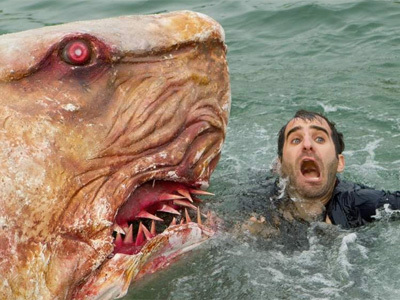 Capitalizing on the recent goblin shark craze, the movie decided to make this species the killers, as the tsunami washes a large group of the deep-sea sharks into the popular resort city. Lifeguards and construction workers struggle to survive as the goblin sharks go on a killing spree. Last year, SyFy took the famous attacks in 1916 when sharks, thought to be bull sharks, killed 4 four people in New Jersey, and modernized it, throwing in the Jersey Shore craze. With “Guidos” being killed one by one, characters stolen from the terrible television show must go on a shark hunt to end the killings. This movie actually received a “respectable” 3.0 on IMDb, with one user calling it “decent cheese.” Not bad for a SyFy movie. This movie hasn’t been released yet, only premiering on August 22nd, but it is most highly anticipated SyFy movie ever, after the surprising success of Sharknado. A year ago, a teenage girl disappeared on the beach of a small resort town. Her body soon washed up, with shark bites making her cause of death obvious. Drunken captain Blaise Shaw (not a Jaws rip-off at all, right?) became a hero when he hunted the shark down. On the anniversary of the girl’s death, which happens to be 4th of July, the shark’s ghost has returned for revenge! A sequel has already been made, which was filmed in four days! 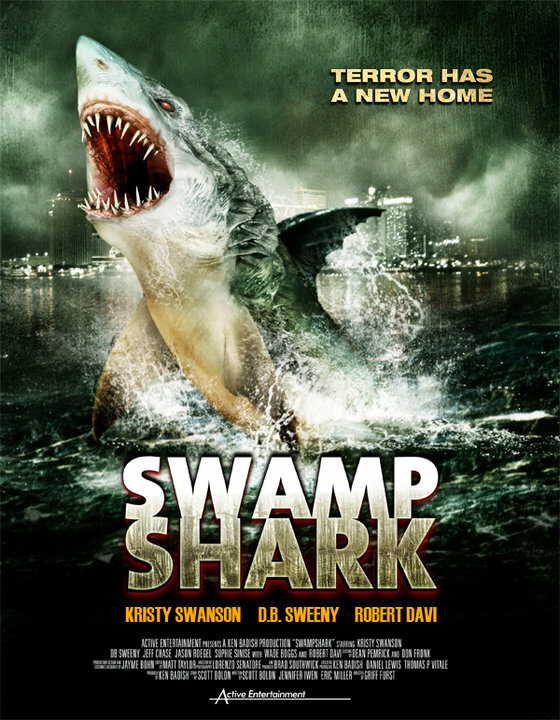 In the swamps of Louisiana, an animal smuggling operation goes horribly wrong when a truck falls over, dropping a shark into the swamp water just before the town’s annual “Gator Fest.” A redneck family owns alligators in the town, and as the shark beings its murderous rampage, their gators take the blame. In order to clear the family’s name, they head out with the help of a “mysterious stranger” to defeat the swamp shark. The premise of this movie is that an underwater earthquake opens a large crack, and out swims a prehistoric monster (never seen that one before!) This sharks can survive in sand, so beach goers aren’t safe even when they’re out of the water. Brooke Hogan stars in this classic, which is notable mainly for the unintentional hilarious moments that occur throughout. There’s actually a lacrosse team in Tampa known as the Bay Area Sand Sharks, in case you were wondering. This is the movie that put cheesy SyFy shark movies on the map, and it’s also the channel’s highest rated movie on IMDb (with a 3.7). 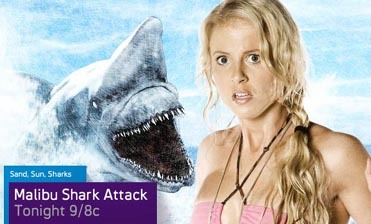 I don’t think it’s the best SyFy shark movie, although it is a little hard to rank these “so bad they’re good” movies. The movie begins with a water spout picking up several hundred sharks, and ties in with a freak hurricane spawned by global warming (they always have to slip that in somewhere) hitting California. When the two collide, chaos ensues. 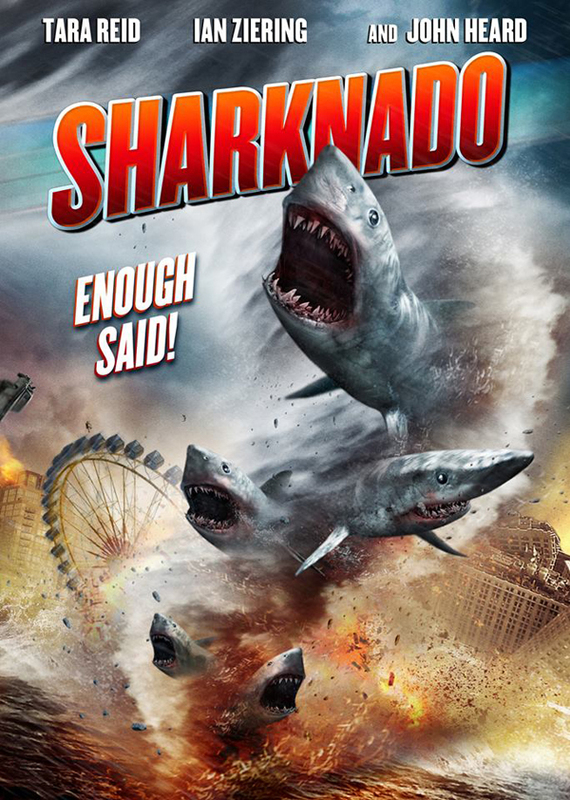 A sequel has already been approved, with the brilliant name of Sharknado 2: The Second One. Some SyFy movies are just so bad they’re unwatchable, but I’ve placed this movie at number one because I have to be honest, I really enjoyed it! If you go into the movie knowing it will be cheesy, this is actually a really fun movie. 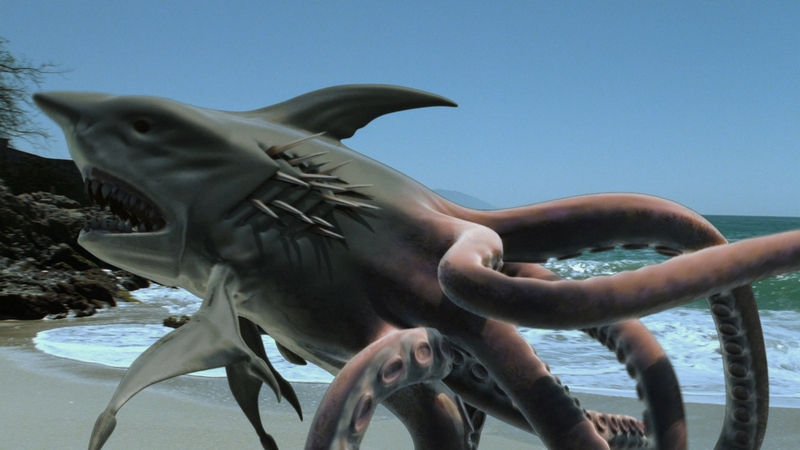 The movie’s killer is a half-octopus half-shark creature that was created by the military, but escaped to run rampant. The surprise star actor of this movie is Eric Roberts, who represented quite a coup by SyFy. Nice list. I’ll try to watch them, even though they are not easy to find here in brazil.